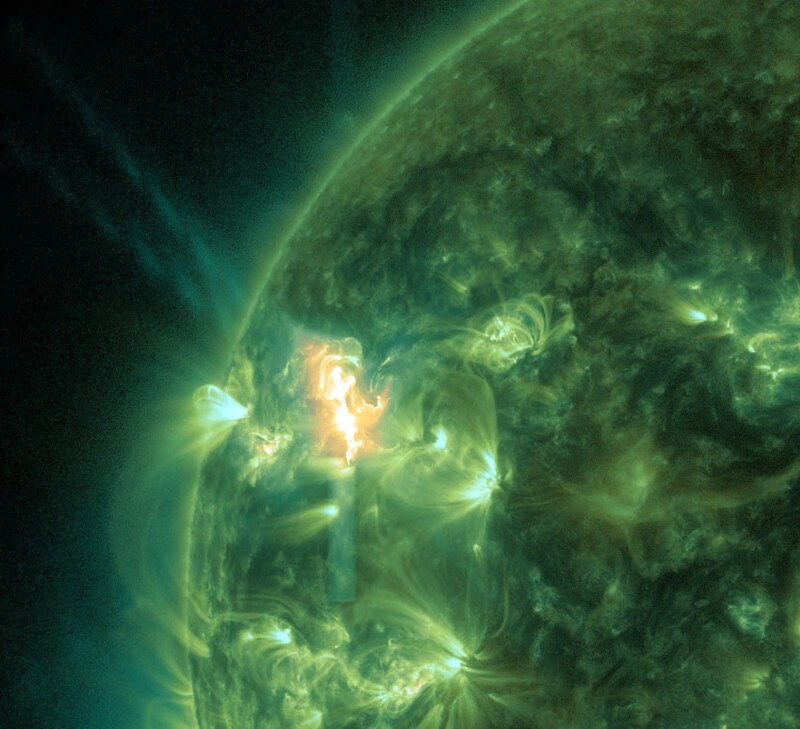 A rather noisy and long duration solar flare event measuring M6.5 was observed around sunspot 2027 at 14:05 UTC. 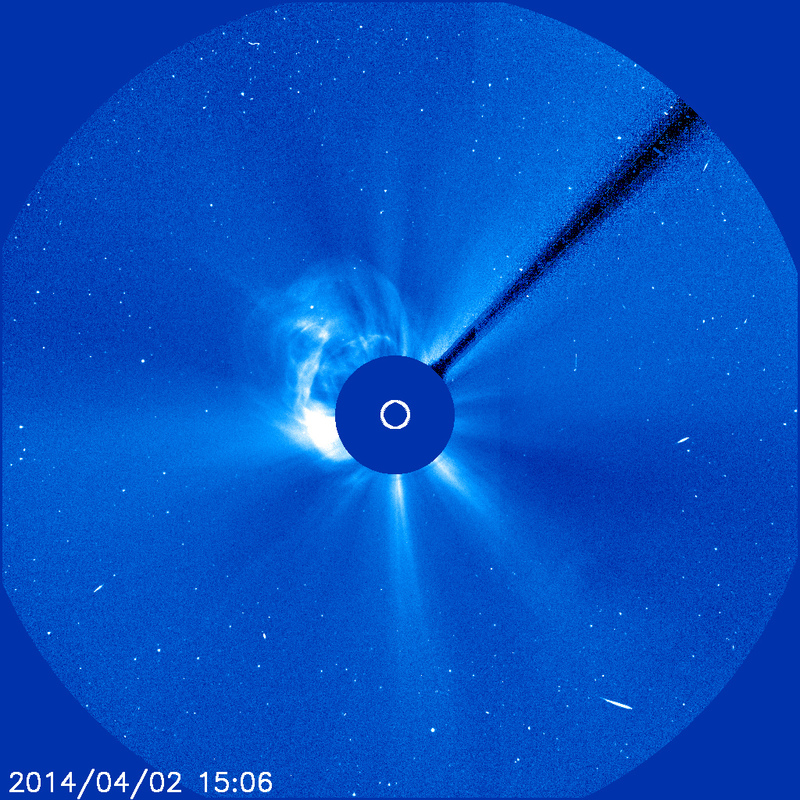 An asymmetrical halo CME became visible in both STEREO Ahead and LASCO C2 imagery following the event. Analysis suggests the plasma cloud is directed mostly to the east and away from our planet. Only a minor glancing blow at best will be possible. 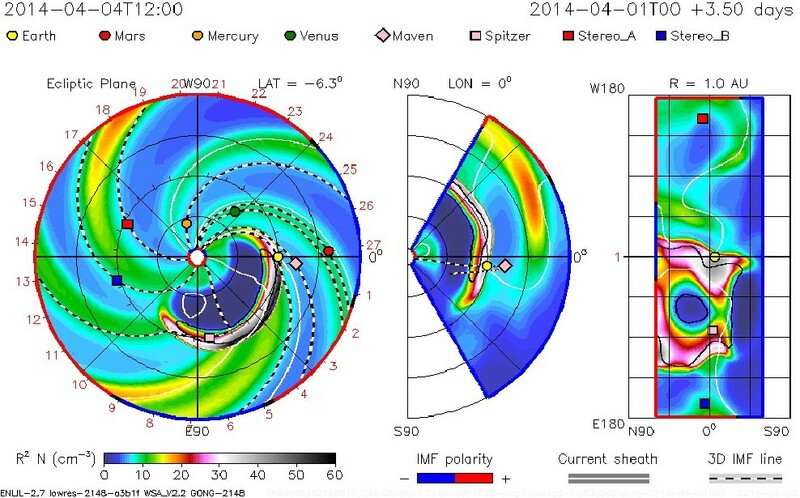 CME prediction model released by the Goddard Space Flight Center shows a glancing blow impact possible by April 4th. 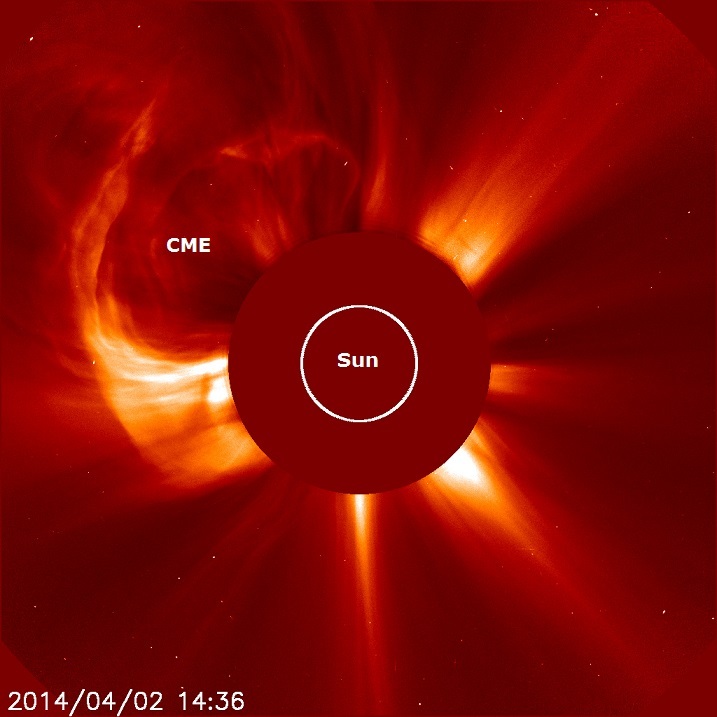 Based on CME imagery, I do not expect a large increase in geomagnetic activity. More to follow. 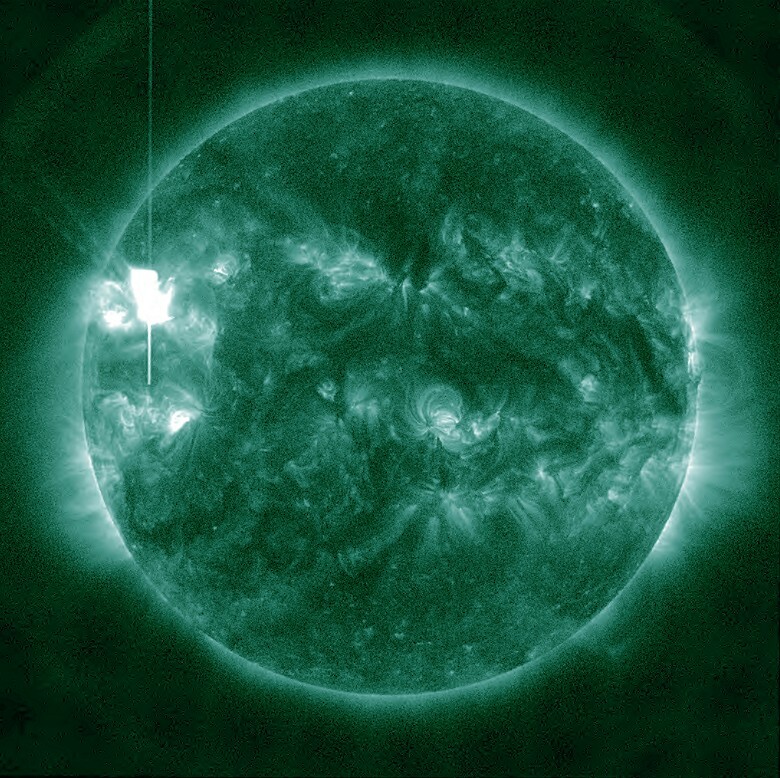 Updated video of the CME from earlier today suggests only a very small portion of it may be directed towards Earth. A majority of the ejected material is directed to the east and away from our planet. It would appear that a glancing blow at best is to be expected. Click on the image below to watch the video. 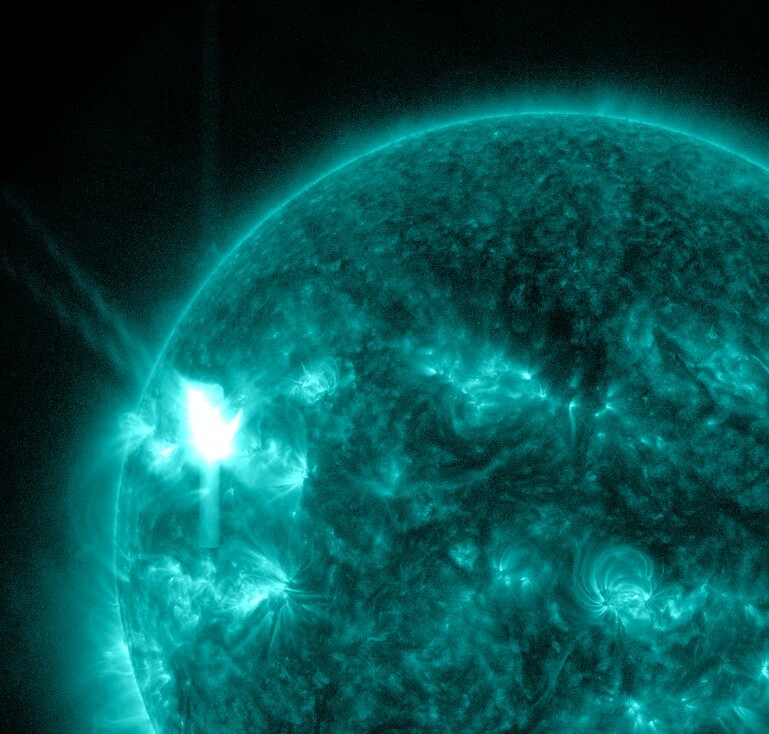 Video presentation of the flare event and CME is now available. 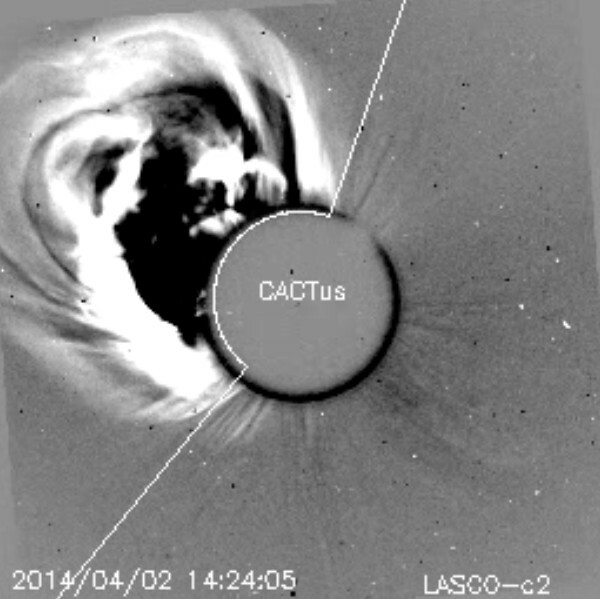 Coronal Mass Ejection (CME) now visible in the latest LASCO C2 imagery. Appears to be directed mostly to the east. 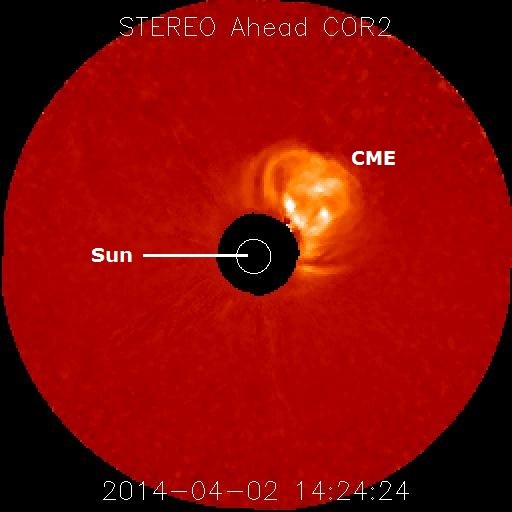 Coronal Mass Ejection (CME) now visible in the latest STEREO Ahead COR2 imagery. Imagery located to the right. Type II Radio Emission with an estimated velocity of 903 km/s detected. This indicates the potential for a coronal mass ejection. 10cm Radio Burst (TenFlare) lasting 26 minutes and measuring 3700 sfu detected. 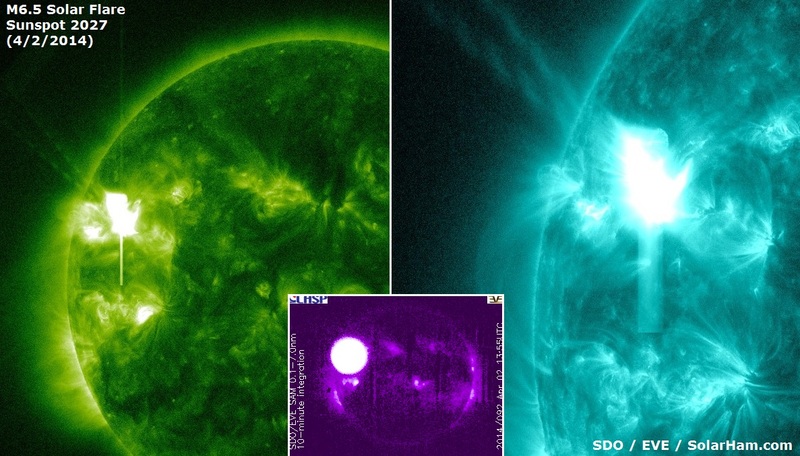 First imagery of solar flare now available. Located on right hand side of this page. 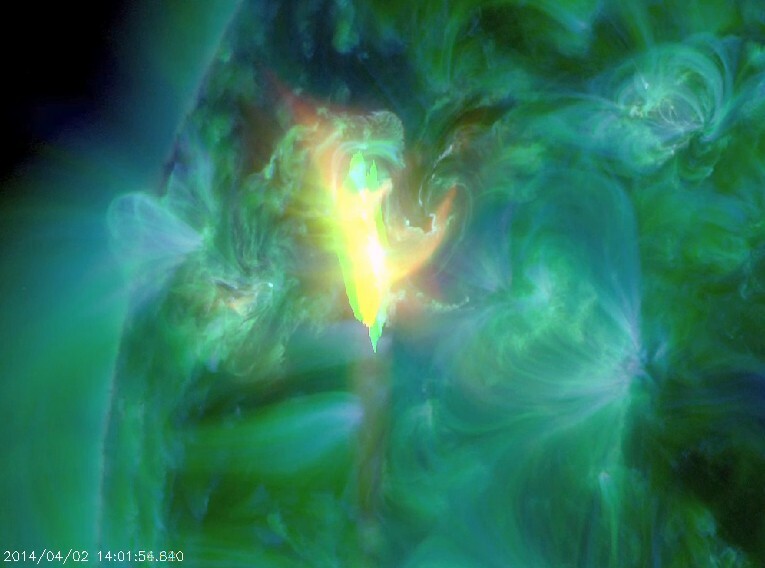 Moderately Strong M6.5 Solar Flare detected. 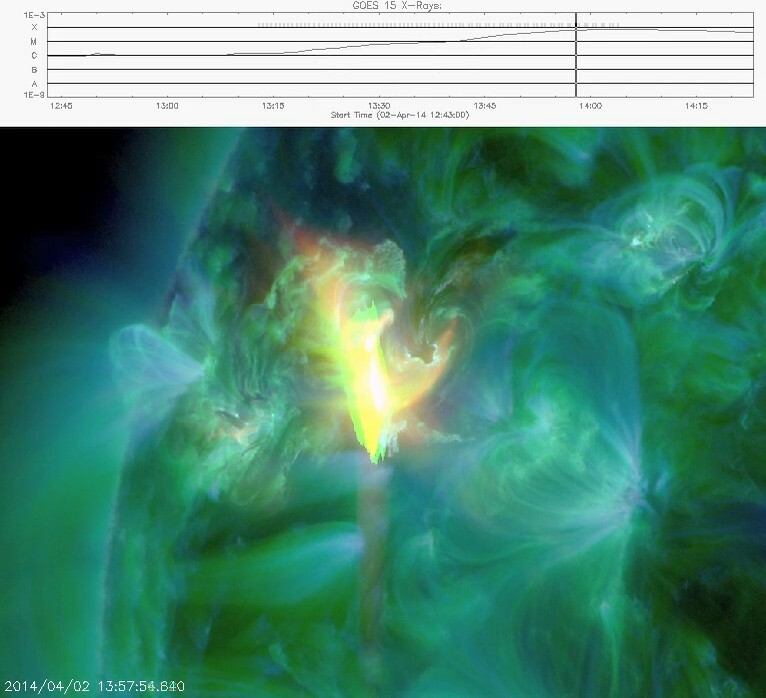 Source of flare is Sunspot 2027. Peak time was 14:05 UTC.